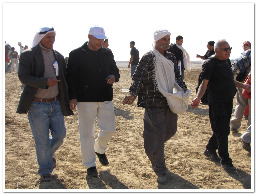 The aim of the NCF is to advance partnership, coexistence and equality between the Arab-Bedouin and Jewish communities living side by side in the Negev. Our activities are designed to generate public awareness about the plight of the Arab-Bedouins and bring about positive social change for the marginalized community through localized activities. 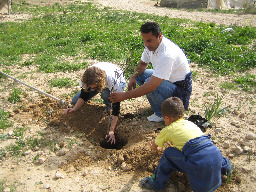 Examples of our activities include preparing shadow reports to treaty monitoring bodies, offering guided tours to Bedouin villages, initiating cultural and educational events to promote Arab-Jewish cooperation and coexistence, working to improve the living conditions in unrecognized Bedouin villages through practical measures and instituting legal action where necessary to protect rights. We also work closely with local media networks to bring house demolitions in unrecognized villages to the attention of the public and conduct solidarity visits. Our activities are governed by an active and engaged seven-member volunteer board of directors made up of Jewish and Bedouin residents of the Negev. The Forum enjoys strong community support and is largely a volunteer-based organization. 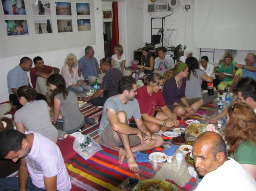 Since it was jointly founded in 1997 by a group of Jewish and Arab residents of the Negev, the Forum has developed strong relationships with at least 20 Bedouin communities and can point to a number of key achievements. Working together with the local communities, we have helped bring basic services, such as piped water supplies, nursery schools, access roads and rubbish removal systems, to nearly a dozen unrecognized villages. 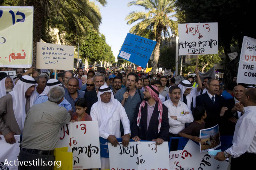 With respect to advocacy, the Forum has filed a number of successful petitions in collaboration with village representatives and other civil rights groups against the Israeli government for discriminatory practices and submitted several shadow reports to treaty monitoring bodies. Further, since 2005, the Forum has sent representatives to the United Nations Permanent Forum on Indigenous Issues in New York and to the Working Group on Indigenous Populations in Geneva.